Is your living room lacking? You might be on the hunt for a coffee table to help bring the room together! 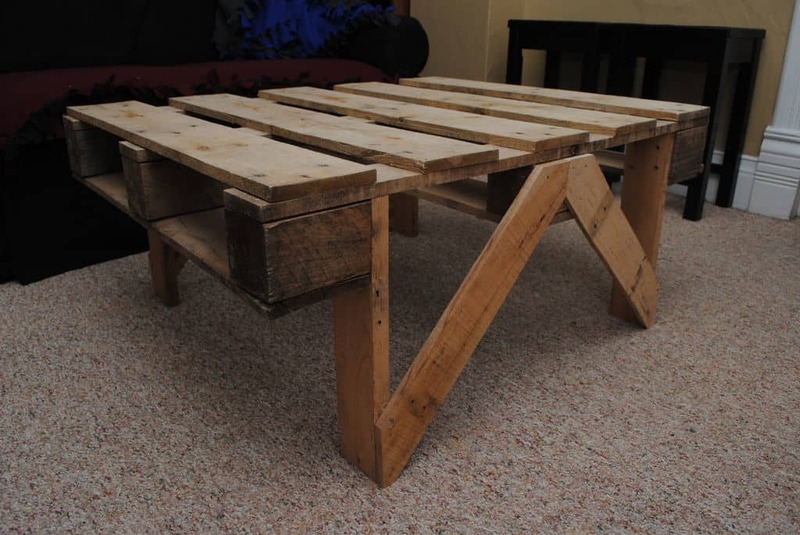 Instead of spending a lot of money on a table, consider making your own pallet coffee table. 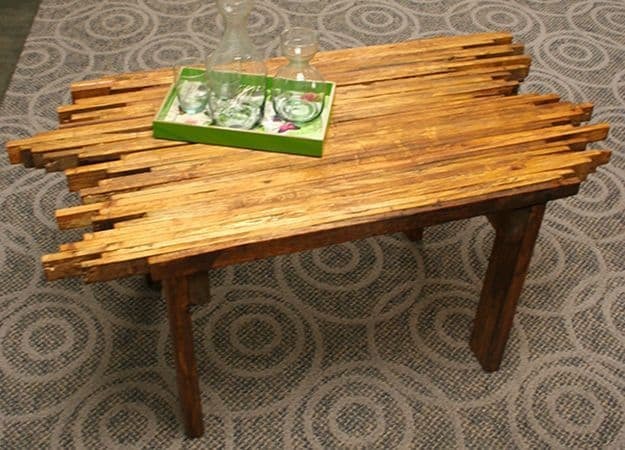 Use discarded wood pallets, and with a little handy work, you can have a custom coffee table that will dress up your living space. 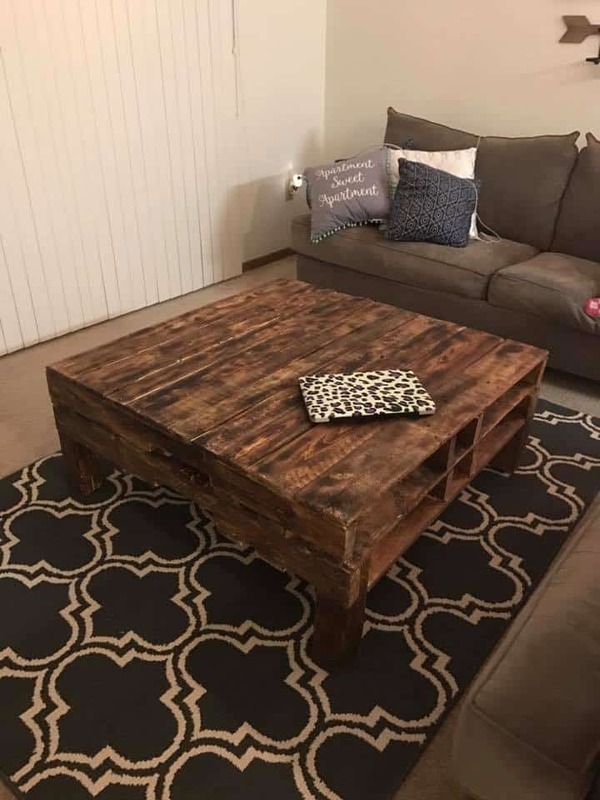 Jackie at LifeStorage found an assortment of pallets left on the curb, so she picked them up and decided to make a coffee table to liven up her living space. This was such an affordable DIY that turned out perfect. See how it is made here. 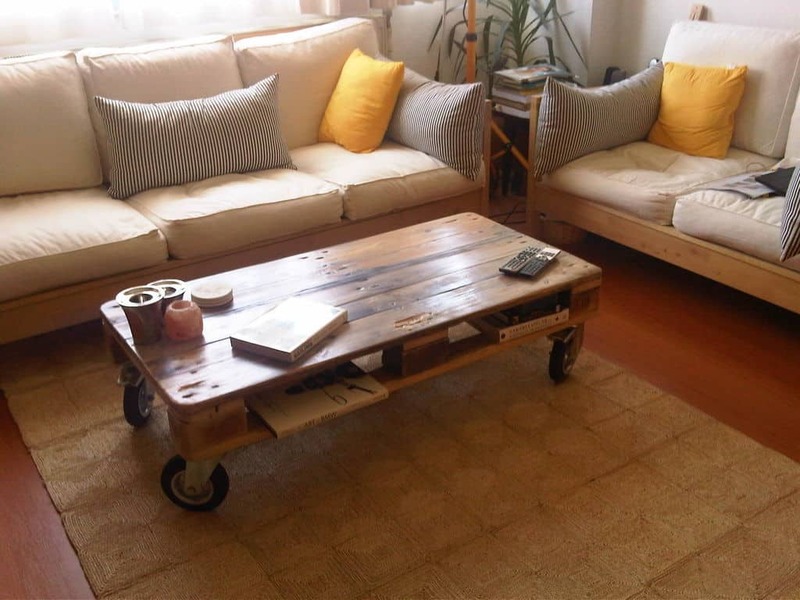 Ana White’s blog shares how they used leftover wood pallets to create a coffee table to fit their living room. They used watered down white paint to give it a whitewash look. They share instructions on how they made it. 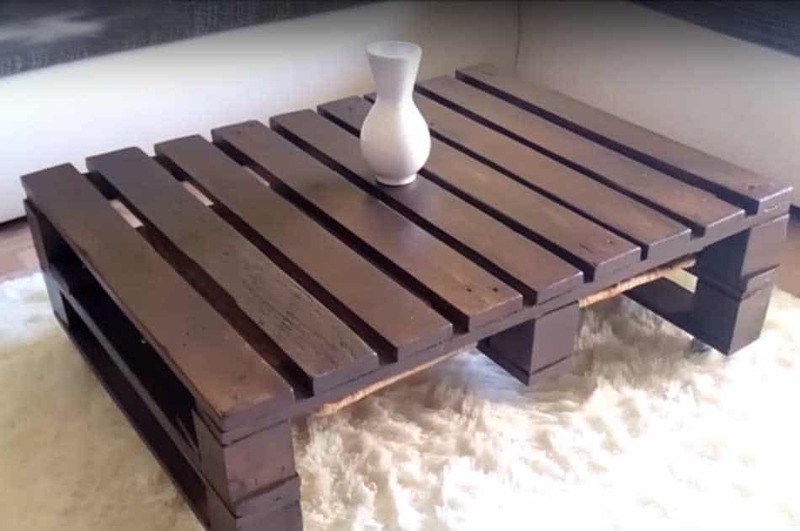 Madison over at Espresso and Cream shares how she is not a crafty person by nature, decided to make this stained pallet coffee table. For someone who isn’t crafty, she did an amazing job. She documented her steps so you all can recreate the same style of table. Manda at Merry Thoughts loves working with reclaimed wood. This table offers a unique style as it has all different colors of grains of wood that it really sets it apart from the rest. You can see the hard work and love that went into this table. They took the time to share all the steps on how this coffee table was made. Dave at Dave’s Beach Hut made this incredible table using industrial pallets. 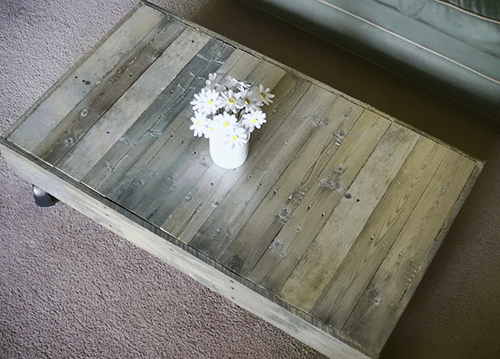 With some measuring, sanding, and distressing they transformed this industrial pallet into a coffee table. See more about this table here. Johnnie at Saved By Love found this pallet on it’s way to being trash. 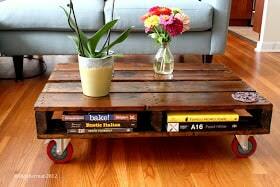 Saw the potential and got to work to make this industrial but cozy coffee table with wheels on the bottom. It really added the perfect touch to their home. Tutorial here. Dana at Wonder Forest had no idea where or what this would turn into but the finished product really is amazing. 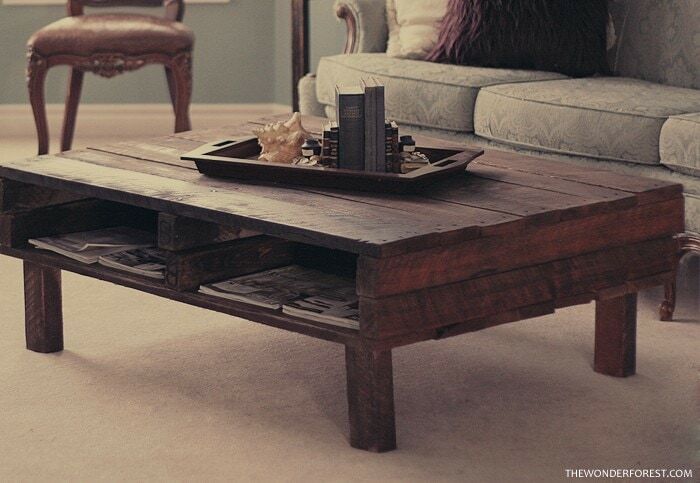 It is a nice sturdy coffee table that brings an element of rustic charm to the room. Find out here how she made it. 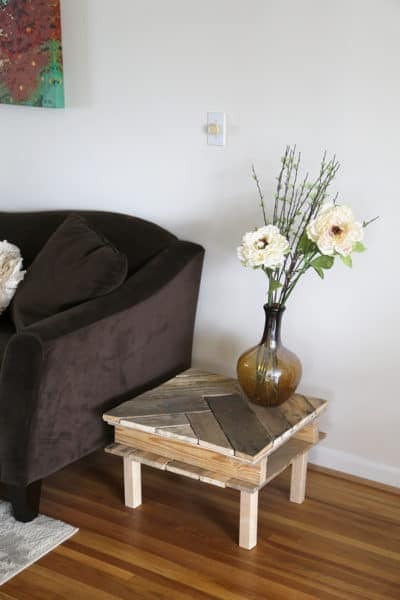 Remove and Replace shares an easy diy for a pallet coffee table that is made on a budget. If you are wanting to make a table but don’t have a huge budget this might be a table that fits your price tag. Check out here how they did it. 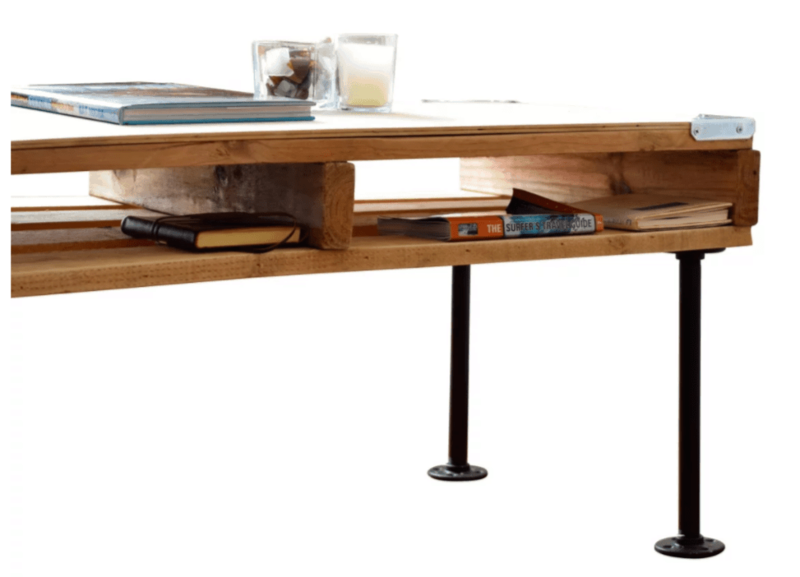 Scrap Hacker shares how simple this table can be made, in just 7 easy steps. 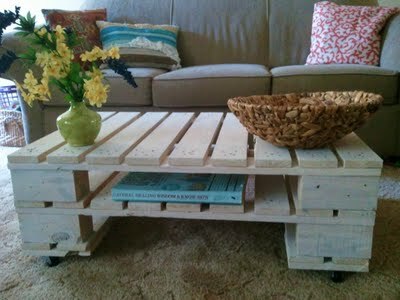 Find some good quality pallets and a few other handy supplies and before you know it, you have a coffee table. See how it is made. Mango and Tomato saw a bunch of pallets sitting in recycling and snagged it. Then got to work and created this rich brown coffee table that turned out wonderful, thanks to the wonderful world of Pinterest helping guide how to make. Make one of your own! 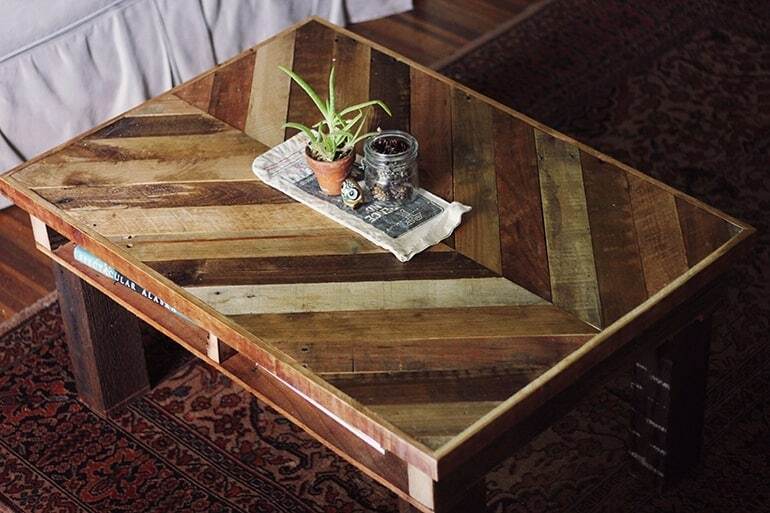 Home Tone takes you through the steps on how they created this transformed coffee table. They started out with a wood pallet, nails, sandpaper and a few other supplies and ended up with a beautiful end result. Tutorial here. 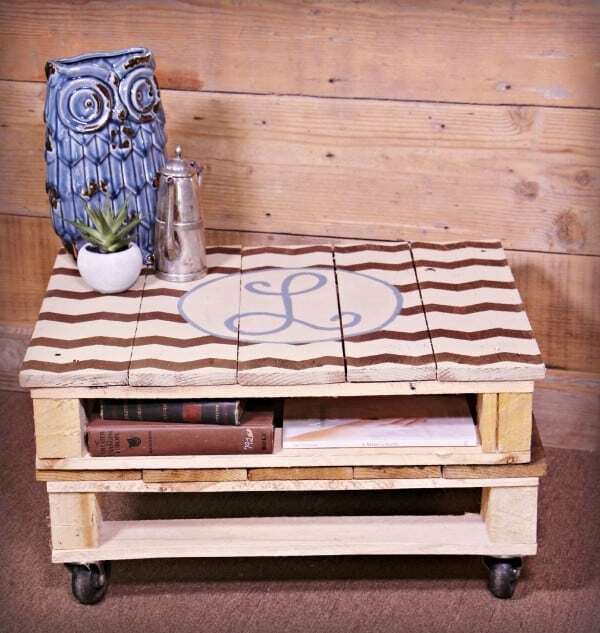 Kim over at Shopping Kim made this stunning wood pallet coffee table. I love the rich colored stain she used to really give it a whole new look. You can’t even really tell these were pallets. See how it is made. Instructables shares a video and step by step guide on how they created this rustic charm coffee table. It is a great piece that can fit into most homes to give it that rustic farmhouse style that is so popular right now. Head over and see the how to make guide. 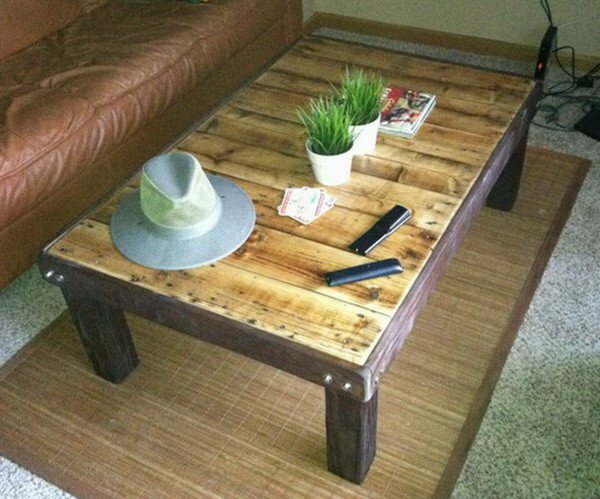 DIY Projects did a great job making this pallet coffee table. They share an in-depth guide on just how they made it. If you are new to diy’s and want to try your hand, this might be a great one to start with. Follow instructions here. 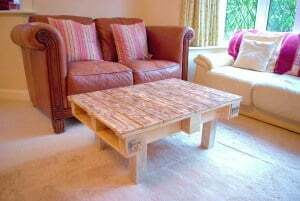 Instructables is back again with one creative way to use wooden pallets to make a coffee table. The unique shape will give you that one-of-a-kind looks to your table that will set it apart from others. They share exactly how they made it. A really basic and simple design is what Diva Of DIY was going for in this table. It gives a creative look to the room and they ended up adding some design on the top to really make it their own. See how it is made. 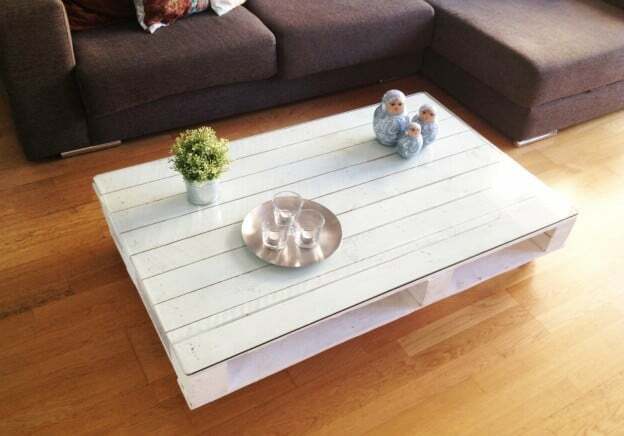 Plan B had such a great idea, create a coffee table using a wood pallet and then top it with a piece of glass. It truly gives the table a whole new look and appeal. Head over to see how it is made. Need a coffee table for outdoor entertaining? 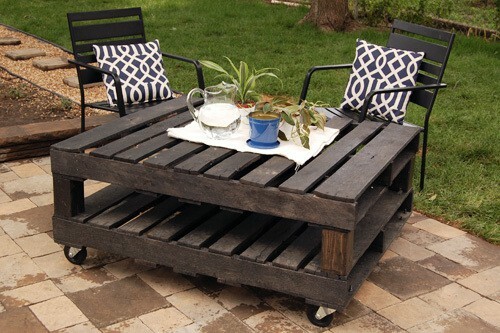 Joy Ever After shares how they made their deep and dark black wood pallet coffee table for their outdoor leisure time. Check it out here. Want that industrial feel for your home or office? 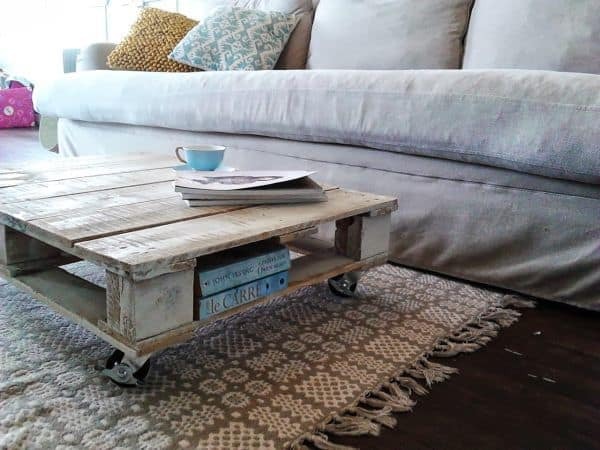 DIY Cartel shares a very easy to follow guide on how to make this pallet coffee table on your own. Buying a table like this would cost so much more money. Try your hand at DIY today. Instructables is sharing another super quick and easy table. 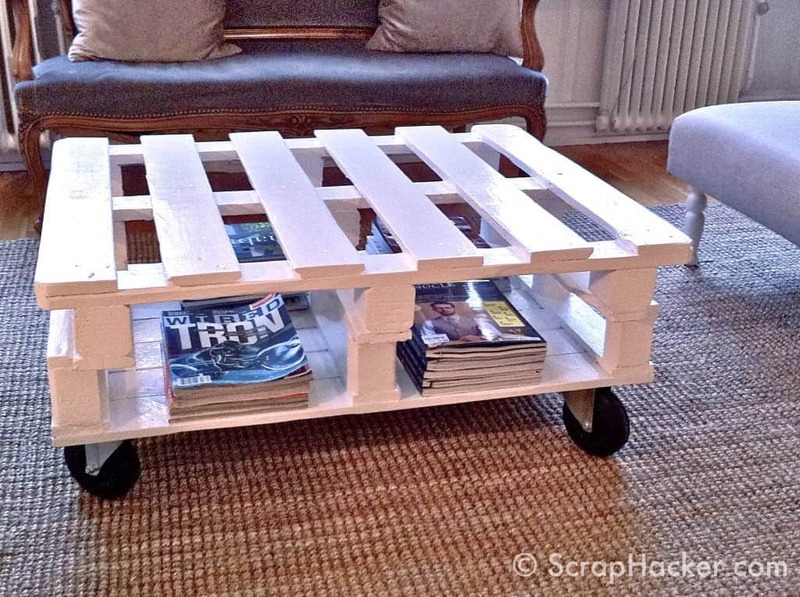 It takes only 30 minutes to make this pallet coffee table. Now if you are new to diy’s you might have a bit more time invested. Either way, the end product looks great and for an easy table, it is worth trying. How to make here. 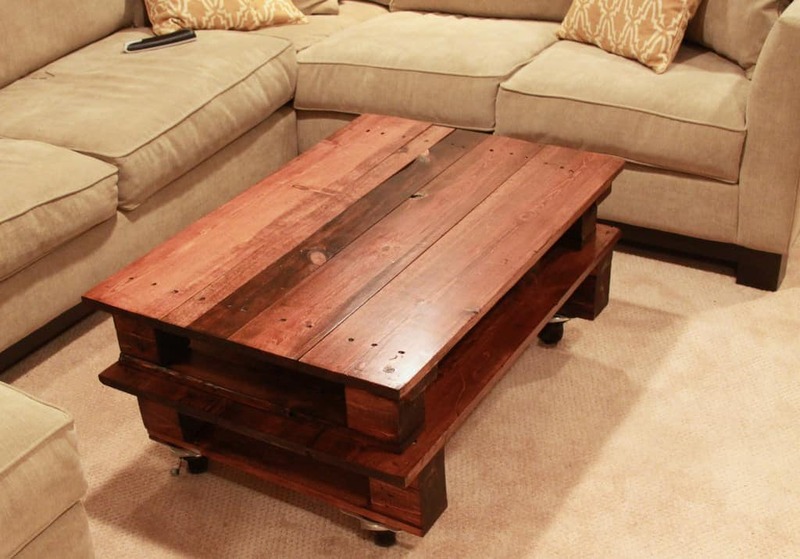 This is a longer vintage style coffee table that Instructables shared today. It is a stunning stable that gives the room a vintage and industrial vibe. With a few supplies, you can make your own. See how to make here. 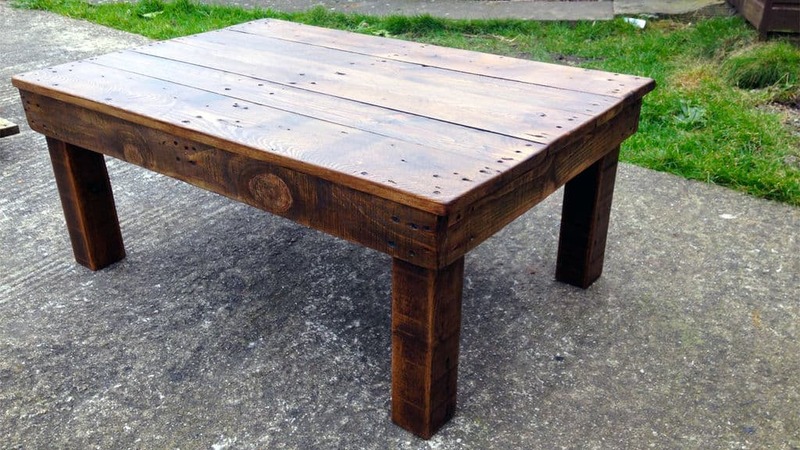 Can you believe all the different ways you can use wooden pallets to make coffee tables? It is hard to pick a favorite, but if you think about the space you have and style you want, you are sure to find a table that fits your needs. Happy DIY’ing!